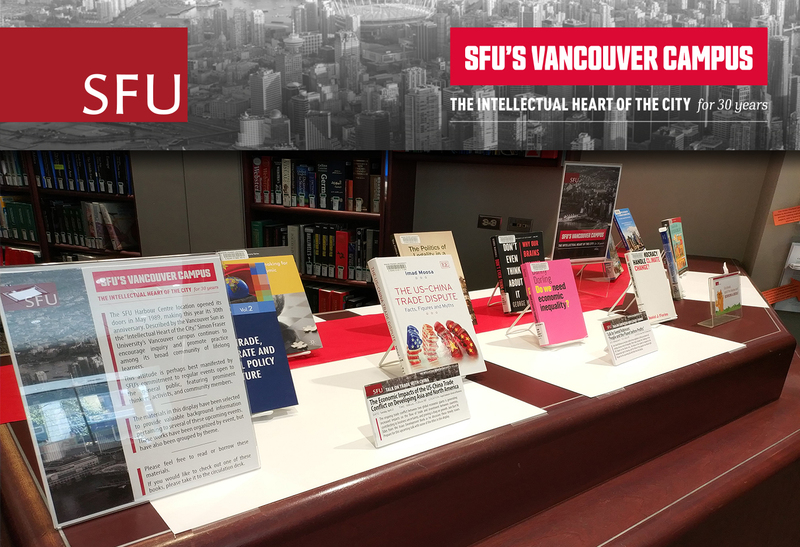 SFU’s Vancouver campus celebrates 30 years of learning in the city this year with a year-long series of 30 events. For 30 years, SFU’s Vancouver campus continues to engage with communities, organizations and partners to create, share and embrace knowledge that improves life and generates real change. To commemorate this anniversary, Belzberg Library has created a display containing materials related to upcoming campus events. Check back often as this display will be updated regularly!